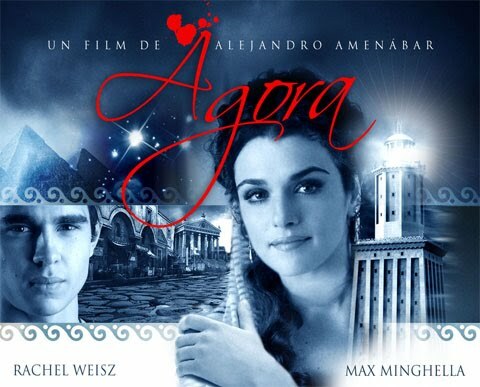 Agora is a beautifully filmed historical narrative by Alejandro Amenábar, set in 4th century Alexandria, in Roman Egypt. 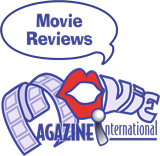 It is an English language film made in Spain that won seven national film awards or Goya. Rachel Weisz plays Hypatia, an astronomer who was convinced that the earth was round and circulated around the sun. The film shows the emergence of power hungry Christians who destroyed the ancient knowledge of Hypatia and her students by desecrating their library and burning their books. Hypatia was so advanced for her time and threatened the new world view of one deity so much that eventually Christians called her a witch and stoned her to death. In an unusual depiction of this time, the Christians dress in black and are shown as a swarm of screaming men, a large mob often incited to riots by ill thinking leaders. The atrocities of the time were horrible, and students are forced to either become Christians or die. The history of the time is presented in stunning detail and shows the power struggle between ancient Egyptians, the Jews and the Christians. Rachel Weisz is brilliant as Hypatia a woman surrounded by men during the entire film. Two students fall in love with her, a slave named Davus played by Max Minghella who is a Christian and Orestes played by Oscar Issac, a student who eventually converts to Christianity to keep his freedom. Hypatia is an atheist and this position is so provoking to the Christians that they destroy her. She admits to them in the end that she does believe in something, in philosophy, which they ridicule. * By then they have written their own scriptures: that Jesus chose 12 men as his disciples, and not a single woman, and what greater proof was there that women belonged at home, subservient to men. The destructiveness of the Christians commands attention as they destroy historical documents and rewrite their own history. But although they manage to sabotage Hypatia’s work, today her discoveries remain an important part of modern science. Alejandro Amenábar’s film is an extraordinary document about a changing world and the forces that come into play that push the advancement of the ancient world back in time, with truths that were later to emerge that put the world upside down. 106 BC- 43 BC philosophy is "the science of things divine and human, and of the causes in which they are contained".